Don’t miss the stunning, riveting, hilarious, and 100% fresh conclusion to the interactive Spaceheadz saga! The SPHDZ accomplished their goal of recruiting 3.14 million and one SPHDZ. But the brainwave has been stolen by the chief of the Anti Alien Agency, and it’s up to Michael K., the SPHDZ, and their allies to get it back. With three potential Chief sightings, the team is spread around the world, leaving Michael K., Venus, TJ, and the SPHDZ to hold down the fort and finish fifth grade. But with a mysterious new principal and graduation fast approaching, will they be able to find the missing brainwave before the Chief uses it to destroy a planet? Spring bloomed beautiful in Brooklyn. A flock of pigeons circled high in the bright blue sky. 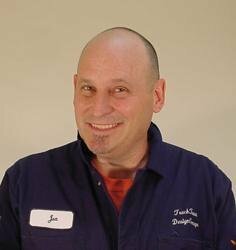 1. the chief of the AAA had turned out to be a bad Spaceheadz in disguise! 2. the chief had stolen the Spaceheadz Brainwave! 3. the chief was going to bllrrp the planet Gonf! 4. the chief was sure to turn off Earth! And now the only group that could stop him was down to its last plan. Michael K./his friends Venus and TJ/Spaceheadz Bob, Jennifer, and Major Fluffy/DarkWave X agents Delta, Echo, and Foxtrot/Mom K., Dad K., and Baby K./AAA agents Hot Magenta and Umber sat around the table inside Spaceheadz HQ. The flickering light of the Spaceheadz TVs lit their very serious faces. “We’ve tried everything,” said DarkWave X agent Delta. “We are beat,” said Dad K.
“So not LEMON FRESH,” said Bob. “Eeeek eeee eeee,” said Major Fluffy. “Gooo goo gah,” agreed Baby K.
Everyone around the table grumbled. “We have ALL NATURAL failed our SPHDZ assignment,” said Jennifer. “We are FAT FREE SPHDZ disgrace,” said Bob. The Spaceheadz HQ TV screens flashed a checkerboard of commercials showing steaming tacos, value-menu cheeseburgers, extra-cheesy cheese puffs, hot chunky salsa, and red-hot potato chips. Major Fluffy, this is sure to delight fans, while recruiting new ones. Another laugh factory between covers." "The madcap conclusion to Scieszka and Prigmore’s delusionally frenetic and fantastically silly series will delight SPHDZ across the land...and they will be SPHDZ (and readers) for life. "Secret codes…science and math tidbits…hamster-translation websites…and the odd flying whale. ULTRA FRESH!" "The quirky plot, zippy dialogue, zany art, and abundant action will keep...readers moving at full pace." 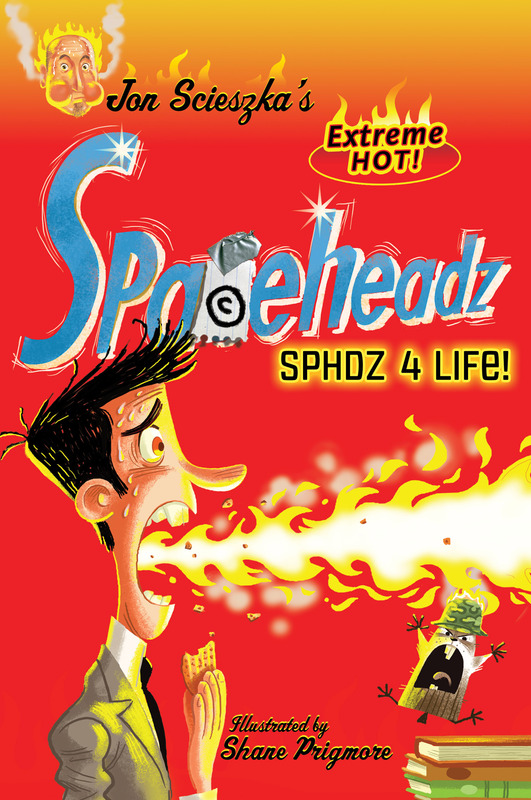 Book Cover Image (jpg): SPHDZ 4 Life!